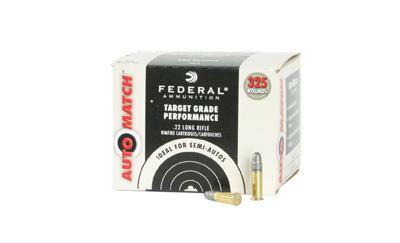 For general purpose target shooting with a 22 Long Rifle or 22 Win. Magnum. Available in 500 or 325 per box.Find a nice range of capable target shooting options for your rimfire guns. If you're looking for the most performance for your dollar, look to the 40-grain solid AutoMatch 22LR its sweet-spot velocity make it perfect for 10/22 actions and other autoloading firearms.